It is something of a crime that the Metroid series has long been akin to the forgotten middle child of Nintendo’s family, the one that is oft ignored in favor of its too more prolific and popular siblings: Mario and Zelda. With several top tier games under its belt, and the many iconic moments it’s contributed to the gaming world, the Metroid series is more than deserving of its due among Nintendo’s Big 3. Though the series has indeed achieved much, not the least of which is sneaking in gaming’s first major female protagonist in its original outing; perhaps Metroid‘s finest achievements were unveiled in its 3rd installment, Super Metroid. Although at the outset, it didn’t play or feel much different from its predecessors, Super Metroid would come to set a new standard for the series. Soon enough the entire world of Zebes was open to the player, and s/he was offered little direction on where to go within it. They only knew one thing, as had been established in the games only spoken dialogue, they were there to recover the last Metroid. Everything else along the way was a complete surprise. Structurally, this would come to inspire a myriad of titles over the years, even as recently as the acclaimed Dark Souls series. While the areas that are available, to begin with, are very small, the scale quickly expands with wild abandon. Soon, the rapidly growing map becomes essential for navigating the huge world. Occasionally, throughout the players explorations, they would find themselves faced with areas that were completely unreachable. Filled with frustration, they would move along until lo and behold, they would discover a new item, and the “a-ha” moment would occur somewhere in the brains frontal lobe, signifying that this item would allow them to do and see things they had only imagined up until now. The highly emotional, and again, wordless plot twists that would occur toward the end of Super Metroid are still legendary to this day. Many games would come to adopt this framework for their titles, most notably the Castelvania series. 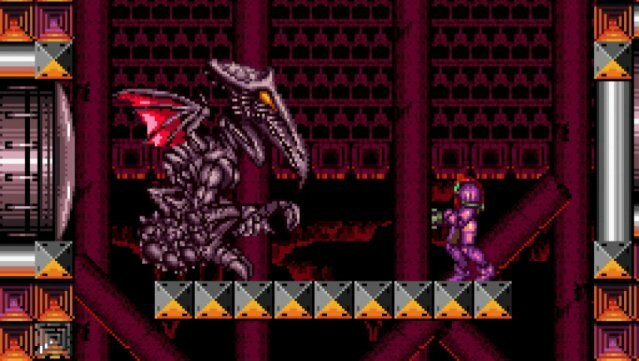 The exact design set forth by Super Metroid has since been adopted by 9 subsequent games in the series, not the least of which is Symphony of the Night, a stalwart classic in its own right. The wordless and dialogue-free narrative was also noteworthy for the time. As the only human character on Zebes, there was no one for Samus to interact with in any way except through actions. This gave the game a feeling of intense isolation that had never been seen in gaming. There was no hope for respite, just a long and frightful journey amid mostly hostile alien wildlife and massive boss monsters that would enter the screen with little warning. The highly emotional, and again, wordless plot twists that would occur toward the end of Super Metroid are still legendary to this day. This manner of plot development would go on to inspire several generations of gaming, from the real-time plotting of Half-Life and Portal, to the dialogue-free developments incorporated into Shadow of the Colossus, and virtually dozens of indie games from the new development frontier. Since its initial release in 1994, Super Metroid’s acclaim has only grown, and its wide-ranging influence stands to this day as a paramount peak, a height that few games have been able to challenge in over 20 years.